Non-invasive Blood Pressure recording allows you to capture intermittent blood pressure data in awake rats or mice over long sampling periods easily and unobtrusively with a high standard of care. Reliably record and monitor blood pressure using LabChart and PowerLab paired with an NIBP system, specialized tail transducers/cuff, and rodent restrainer. With this setup you can intermittently measure blood pressure based on the periodic occlusion of tail blood flow. 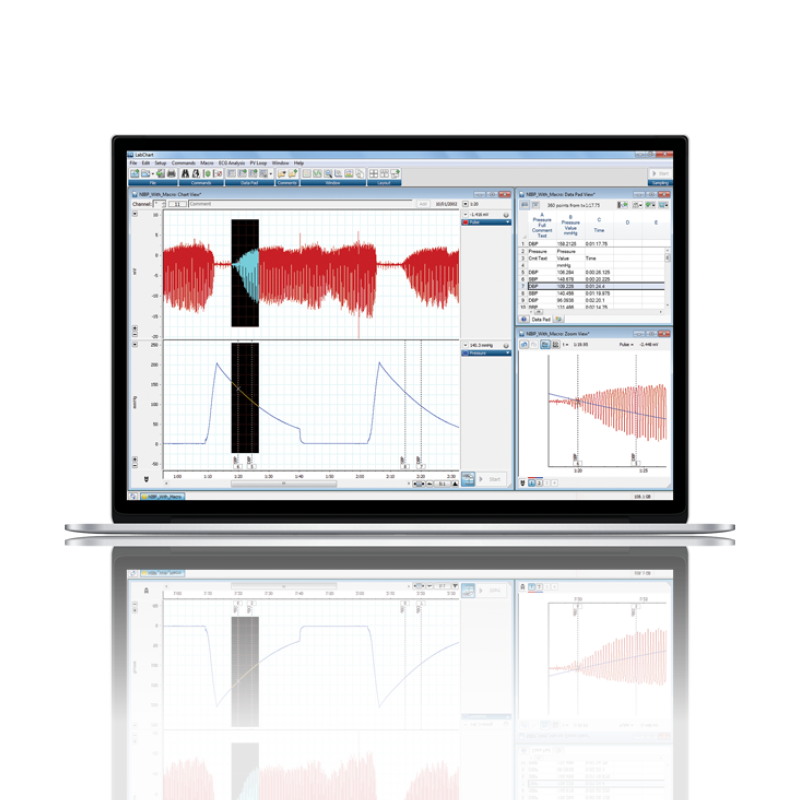 Simultaneously acquire additional physiological signals with PowerLab and LabChart to support your research. In conjunction with our solutions shown below, any device with an analog output (+/- 10V) can be connected to a PowerLab data acquisition system for synchronization of event in LabChart. So you have even more flexibility and can integrate all your data streams in one place. Reliably record and monitor blood pressure using LabChart and PowerLab paired with an NIBP system, specialized tail transducers/cuff, and rodent restrainer. Cuff pressure and pulse signals are measured based on the periodic occlusion of tail blood flow. From these, systolic pressure can be estimated. 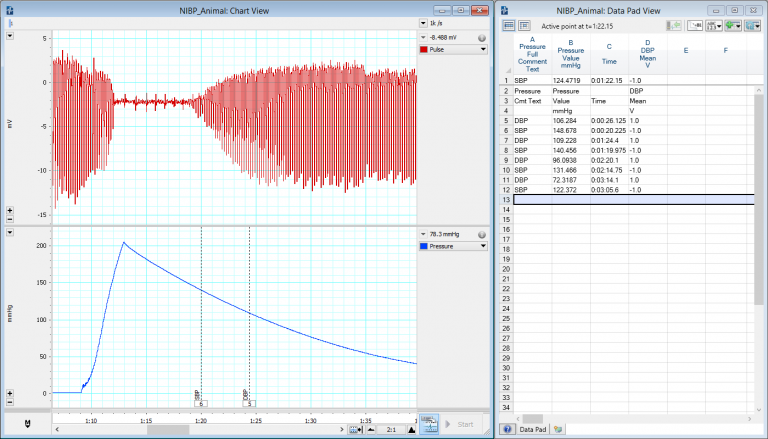 LabChart software can be used to start the NIBP Controller at pre-set times. This is useful when the pulse is recorded continuously but blood pressure only needs to be sampled periodically. in Non Invasive Blood Pressure on Google Scholar cite ADInstruments. Thank you for your interest in Non Invasive Blood Pressure. Please complete and submit the form below and an ADInstruments representative will aim to get in touch within one working day. If you’d like to speak to someone immediately, office contact information is available from the contact page.